Tango is an undercover officer on a narcotics detail that forces him to choose between duty and friendship. Having been to hell and back, he wants out, but the powers that be won’t let him quit. Family-man Sal is a detective tempted by greed and corruption. He can barely make ends meet, and now his wife has an illness that threatens the life of their unborn twins. Eddie is nearing retirement age and has long since lost his dedication to his job as a cop. He wakes up every morning trying to come up with a reason to go on living…and he can’t think of one. Fate brings the three men to the same Brooklyn housing project as each takes the law into his own hands. Crosscutting between multiple subplots, Brooklyn‘s Finest unfolds violently and passionately as coiled, constantly roving cinematography contributes a measure of unease to the underworld action. 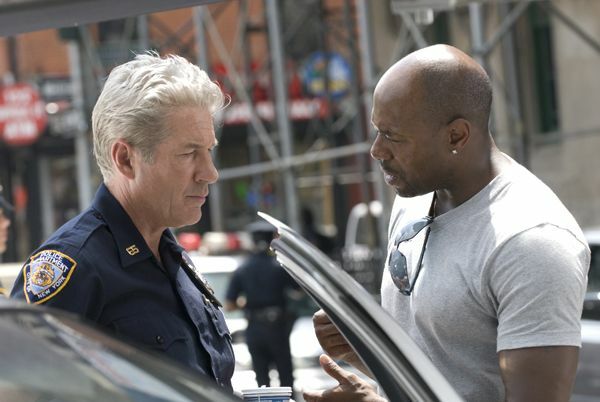 Richard Gere, Don Cheadle, and Ethan Hawke bring all of the intensity and complexity required to breathe stunning life into their characters’ fractured souls. Fuqua flourishes in this terrain. Showing complete command of the cinematic language of the genre, he creates a visceral and emotional punch that displays a master at work. 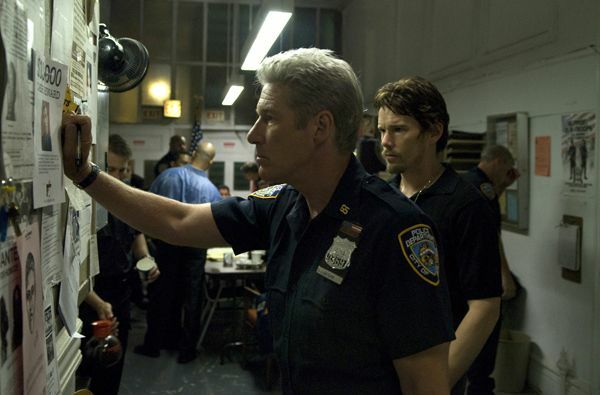 While the cop genre gets made almost as much as the sports movie, if it’s well done, I’m always in. The one problem with this genre is sometimes a studio waters down the politics and the message of the movie….but with this playing at Sundance, one can hope this film wasn’t fucked with and maybe Antoine Fuqua has made an intelligent and gritty movie with a voice. Also, he’s put together a great cast featuring Richard Gere, Don Cheadle, Ethan Hawke, Wesley Snipes and Ellen Barkin. 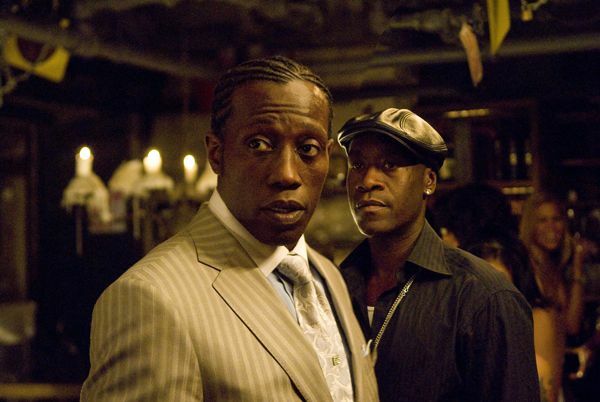 And I hope I’m not alone in welcoming back Wesley Snipes to a real movie and not some straight to DVD mess. I hope he showed up in this movie. We’ll all know in a few weeks. Here are the images.